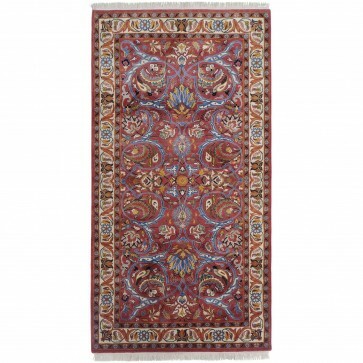 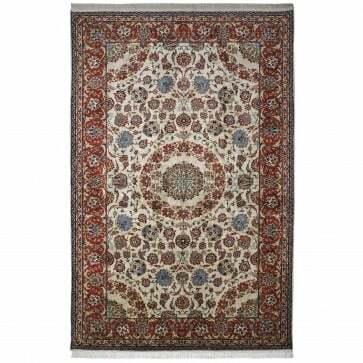 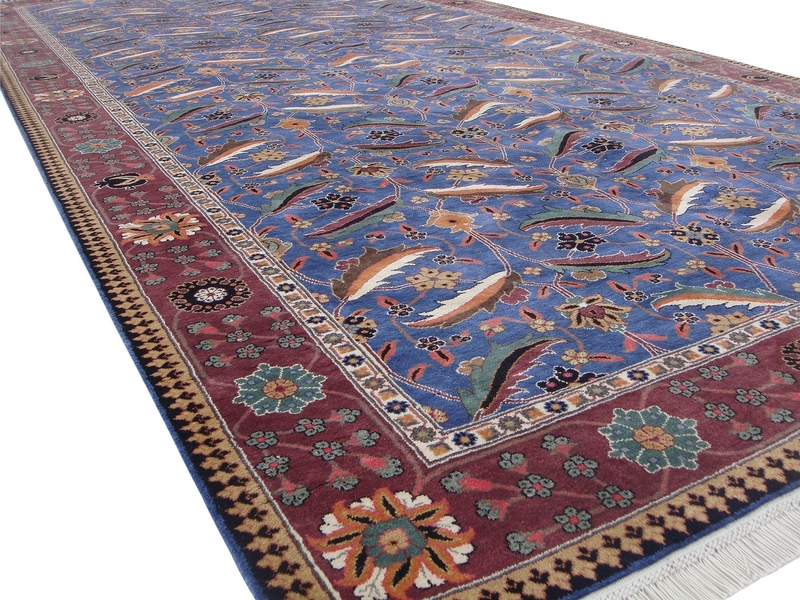 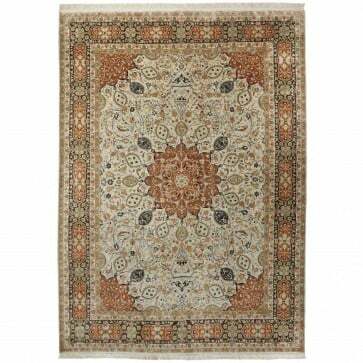 A Kirman 'Vase' design carpet with pure silk pile hand woven on a cotton foundation to 256 knots per square inch. 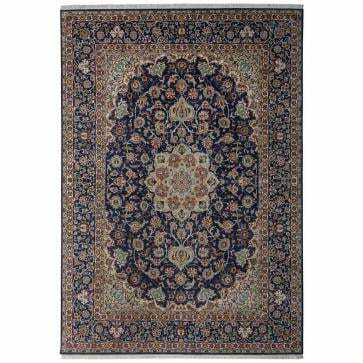 A Kirman 'Vase' design carpet with pure silk pile hand woven on a cotton foundation to 256 knots per square inch. 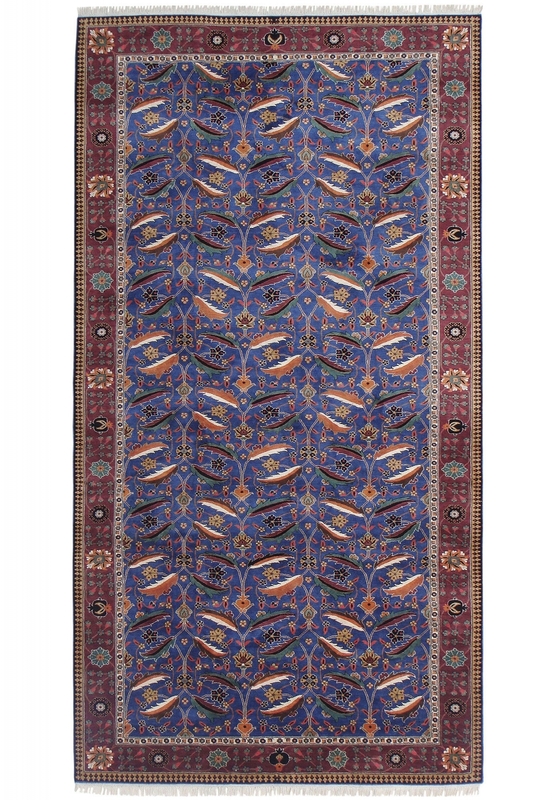 After a Mid 17th Century South East Persian design carpet featured in "A Survey of Persian Art", Oxford, 1938 by Arthur Upham Pope. 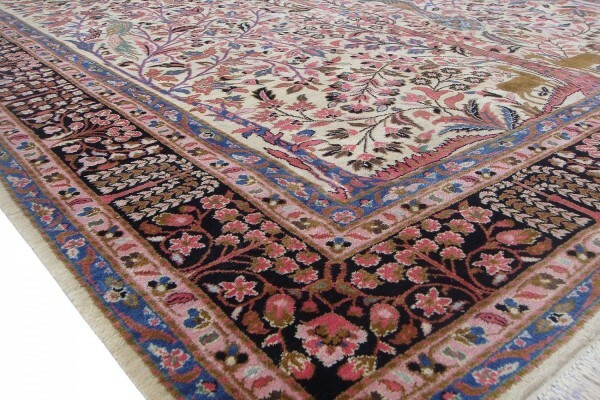 The curving serrated leaves are split into two or three colours, running longitudinally in an arrangement that makes the blossoms completely secondary to the leaves creating an apparently simple yet satisfying design which can be demonstrated to be a prototype for the most popular Persian carpet design of all - the so-called herati pattern. 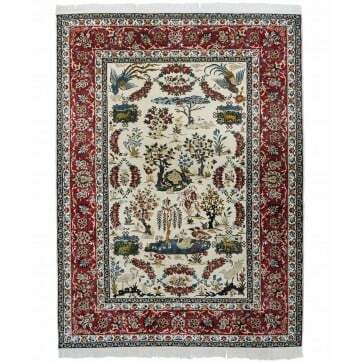 This Kirman "vase" design was hugely influential in later carpet design and supports the theory that the weavers of Kirman in the 17th Century were the most inventive and influential of all designers in the history of the Persian carpet. 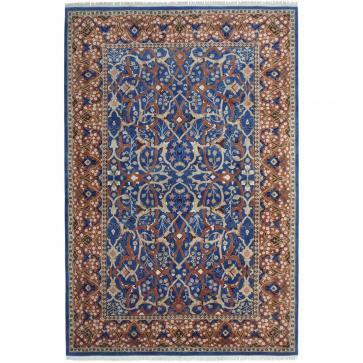 Its charm, subtelty and balance combine to create a deceptive simplicity. 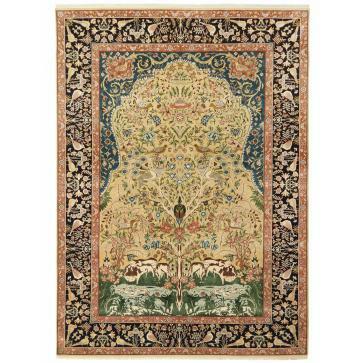 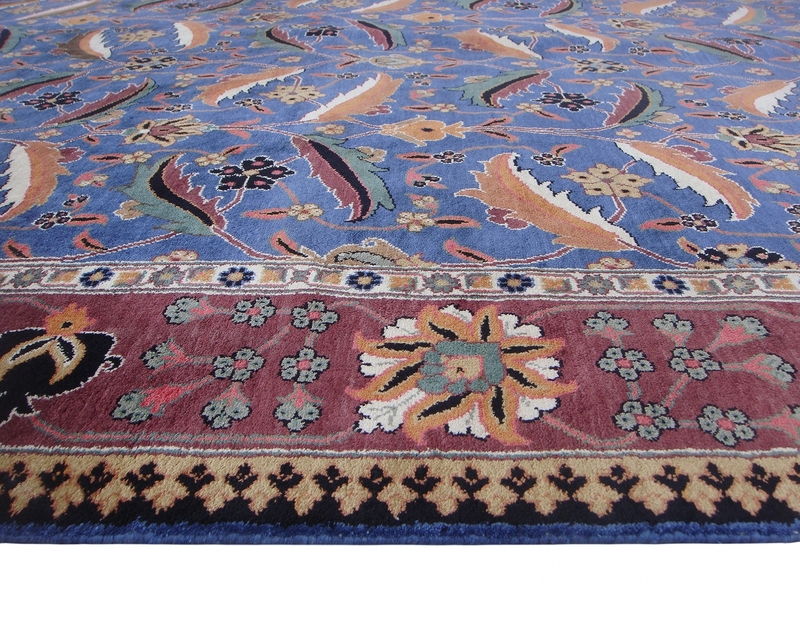 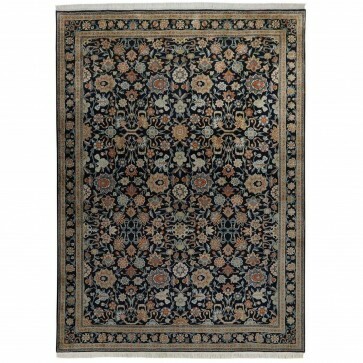 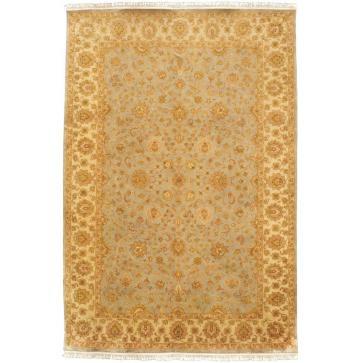 The original carpet of the same dimensions realised an auction price of £6.2 million in 2010.